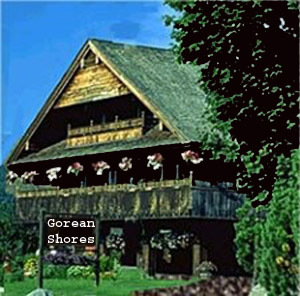 Greetings and welcome to Gorean Shores, a Gorean Tavern situated in Port Kar. The Slave Master, Captains, first girl and trainers are pleased and willing to be able to work with you in becoming familiar with the Tavern and the ways of Gorean Shores. As a slave of the Tavern you are owned by the Council of Captains of Gorean Shores. Whilst these Masters are the ones you ultimately need to please, ensure that any Master or Free person that enters Gorean Shores, you serve with the desire to please. Gorean Shores seeks to role play the Gorean lifestyle as detailed in the books by John Norman. Gorean role play is different to other role play as talk of rt (real time) is severely limited as you are living in vt (virtual time) by the Gorean way of life. Being a kajira on Gor is hard work with many ahns (hours) of study. You are expected to turn up regularly and add to the atmosphere as a kajira with the desire to be of service and found pleasing, and most importantly being respectful! This slave manual is a way of helping you develop as a kajira of the tavern, and provide a reference point if you have any doubt as to what to do. It might help to make a cheat sheet of the pertinent points from this manual, so that you are never stuck mid serve on how to serve a drink or food, or know which dance you need to perform as commanded. Gorean Shores slaves are to take problems or issues to the first girl, NOT to the Slave Master, If its something that the first girl can fix, then so be it, if not, its either for her to pass the issue to the Slave Master, or tell the girl to go to the Slave Master. Class times may alter from time to time so it is wise to check the message board for any changes. NO PERSON IS REQUIRED TO GIVE OUT ANY REAL TIME (RT) INFORMATION TO ANY ASKING, NOR CAN THEY BE FORCED TO GIVE THIS INFORMATION - BE FREE OR SLAVE! The Council of Captains of Gorean Shores owns, operates and maintains this website. Any questions, concerns, or comments may be directed to them or the scribes. All quotes are referenced from the Books of Gor and associated works are the copyright of John Norman. All contributors are acknowledged.